Giveaway Time! 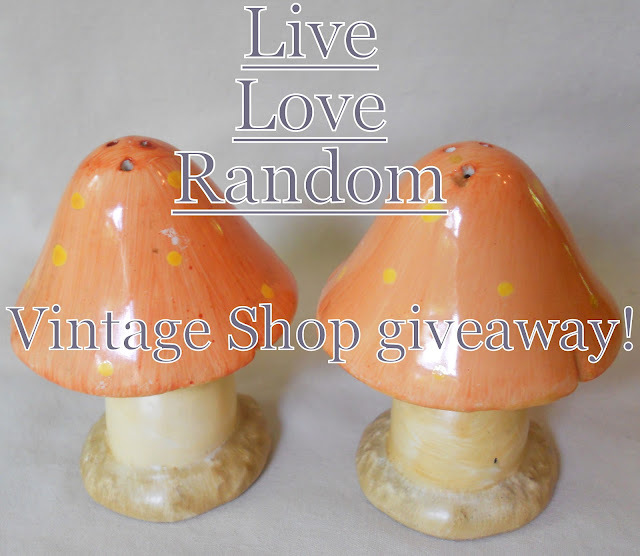 The winner will get these cute vintage Mushroom Salt & pepper shakers From Live.Love.Random.Vintage. You have until July 24th to enter. Visit Live.Love.Random.Vintage. then come back and leave a comment telling us which items are your favorite. Please make sure there is a way to contact you if you win. Winner will be chosen through a random number generator. • share the giveaway on facebook, tumblr or your own blog!